HomeBlogHome TechBrother TechAre the New Apple AirPods Worth the Upgrade? Apple just announced the second generation of its true wireless headphones, the AirPods. The company says the new pair will have better battery life (Apple claims 50 percent more “talk time” in its press release), as well as the ability to charge wirelessly with the new, optional Wireless Charging Case. The new AirPods will also feature Apple’s latest proprietary H1 chip, which the company claims will make switching between Apple devices faster and easier, and you now activate “Hey Siri” through the AirPods themselves, so you no longer have to keep your phone in speaking range. The price will be $160 for the AirPods with the standard case and $200 if you’d like the convenience of wireless charging. The thing we liked most about the original AirPods was how easily they paired with and switched between Apple devices. 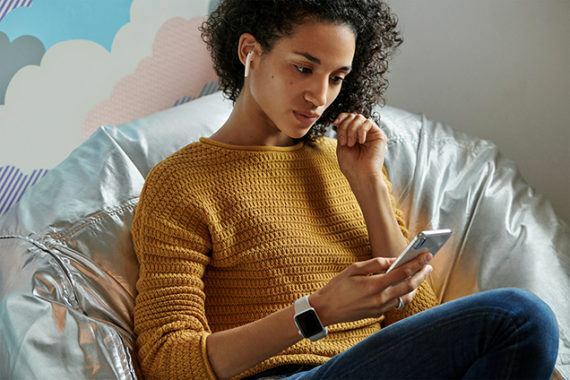 Apple promises an even better experience with the new H1 chip, but we’ll need to test the new AirPods to see how much of an improvement that chip really offers. Still, the pairing benefits will be accessible only to people who use Apple devices exclusively; if you use a PC or a non-Apple phone, the pairing and switching process will be the same as it is with any other set of Bluetooth earbuds. Although the improved battery life is nice, other true wireless earbuds that are due out later this year could have up to 10 hours of use time before charging, which makes the AirPods improvement seem less impressive. As for the wireless charging option, you’ll need a Qi-compatible charger on which to lay the Apple Wireless Charging Case. Wireless charging typically takes longer to fill a battery, so this convenience comes with a trade-off. If Apple finally releases its own much-awaited wireless AirPower charging station, the potential ability to put your iPhone, your AirPods, and perhaps even your Apple Watch on the same charging pad will be appealing. Although third-party Qi stations are currently available, we expect the AirPower to be a more elegant but possibly more expensive option. But that’s just speculation at this point. On paper the new AirPods promise some performance improvements and cool new features but nothing that’s dramatically different—nothing that demands you run out and upgrade—and the changes don’t address our main concerns about the original AirPods. If all you care about is the wireless charging function and you’re a current AirPods owner, you can purchase the Wireless Charging Case separately for $80. The new AirPods don’t promise any sound improvements over the original AirPods, so an upgrade would be just about convenience, not audio quality. We expect to get a pair of the new AirPods early next week, and we will update this article with a hands-on take after running a few tests.